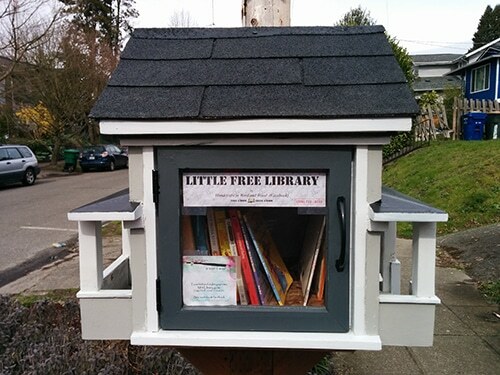 We’ve had some unusually nice spring days here in Seattle, and I decided to take advantage of one for an evening stroll to look for a new Seattle Little Free Library. Well, I found three more in my neighborhood… and now I know which one has the good magazines. Bonus! You’ve got to love a LFL that offers comfortable seating as well as free books. These cute green chairs are ready and waiting for you to sit down, browse the library, and even do a little reading. Next time I’ll bring a cold drink and settle in. 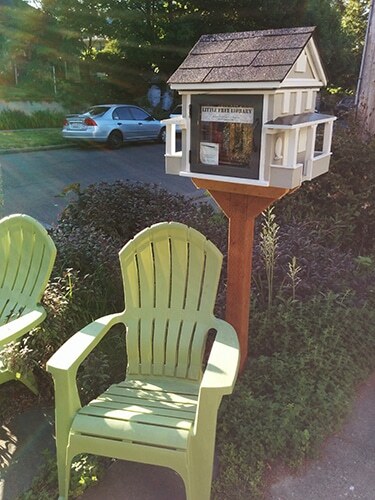 The house-shaped libraries are always charming, and this simple but cute space-saving design is perfect for mounting on a fence. Even better, someone had stopped by and dropped off a stack of Oprah magazines! I grabbed the latest issue to check out and later took it to work to share… and the circle of life continues. 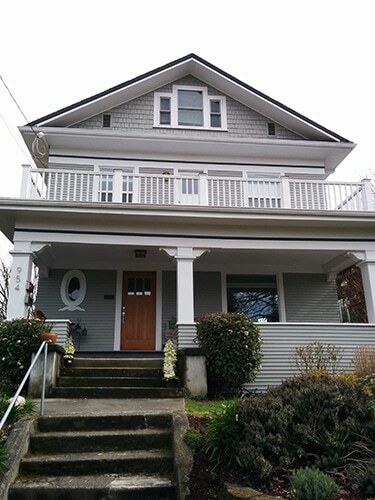 I can’t resist the LFLs that are built and painted to look like mini versions of the houses they’re in front of, and this grey one was so cleverly done, right down to the roof shingles and side porches! This one seemed to specialize in kids’ and young-reader books, so this would be a great stop if you’re a parent with a young bookworm. 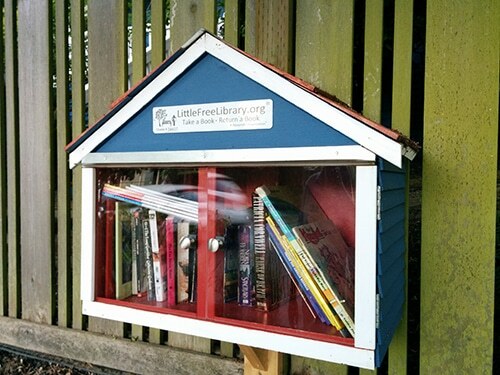 Looking for a LFL in your neighborhood? Check out the map and find one near you to donate or pick up books.